We all know the feeling. The weekend has arrived and the day will be spent hunting for IKEA furniture and products as one of the rooms at home or work needs a new look. While a trip to IKEA with the endless arrows on the floor can result in a feeling of disorientation, the real challenge starts at the point of furniture/product assembly. Now, within the Layerise team, we have huge respects for what IKEA has achieved and how they constantly improve their business. On the other hand, we also recognise the challenges that occur when the DIY process starts. 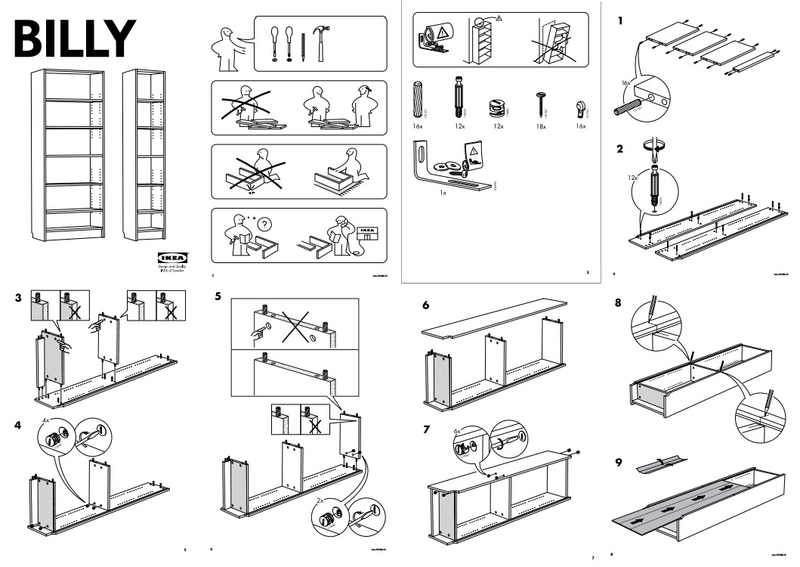 While you may be the person who reads an instruction manual meticulously, or who enjoys DIY every day and to whom IKEA furniture assembly is pure joy, the promise that the IKEA instruction is there to compensate for the lack of assembly abilities for a lot of people is shortlived. In fact, some go as far as to say that the Swedish furniture manufacturing company has a dark side: its furniture is really hard to assemble. As shown in the image below it's not always clear what exactly the customer should be doing. IKEA has good business reasons for creating their instruction manuals without any text, images or in-depth explanations. This allows them to in-return cut costs and at the same time easier reach global instruction applicability. On the contrary, this comes with a number of setbacks for customers as the furniture assembly guidelines become less helpful and explanatory. The question is then, what could IKEA do? To start out with, IKEA could perhaps provide a better assembly experience by simply digitalising the experience, while remaining truthful to their instruction manual ideology. This would allow them to provide a more immersive experience, updates, track assembly issues, and additionally cut costs on print and paper. A concept to such an IKEA assembly experience is presented below. At Layerise, we are working hard on providing solutions that improve any assembly or product use. In fact, deep in our core, we believe that a standard instruction manual should be a product assistant; always present, always ready to help and provide a great experience. The concept is provided in cooperation with Calin Doditoiu.